Privilege is a hot topic. I had numerous conversations, in which I discussed the concept of privilege and have been met by skepticism at best, denial in most cases and even outright rage in some. It is really interesting to me that for so many people the concept of privilege is so difficult to grasp and also such an emotional one, which is why I wanted to sit down and calmly and collectedly describe how I understand it. Privilege can easily be confused as equating being rich or without problems, but this is not in the least what I mean when I use the term. For me privilege in social justice situations simply means, that you are benefitting from the way our society is structured. You may do so unknowingly and you even may do so unwillingly, but it is still likely that you do. This is especially true if you are a man, if you are white, if your are straight, cisgendered and/or able bodied. All of these attributed carry an inherent privilege within them, because our societies over centuries have perceived these things as "the norm". Now I am not saying you are a bad person, because you are a man, white, straight, cis and/or able-bodied, or that none of your accomplishments are based in hard work and lots of effort on your side. But I am saying you are very unlikely to suffer from structural oppression. I am not attacking you personally, I am not critiquing you, I am critiquing a structural system, that benefits certain types of people and disadvantages, oppresses and marginalizes other types of people. These structures are not the decision of single persons, they have been built up and developed over hundreds of years. These are systems, which were deeply rooted in a specific type of person being the ruling class and many other types of people being used towards their advantage. 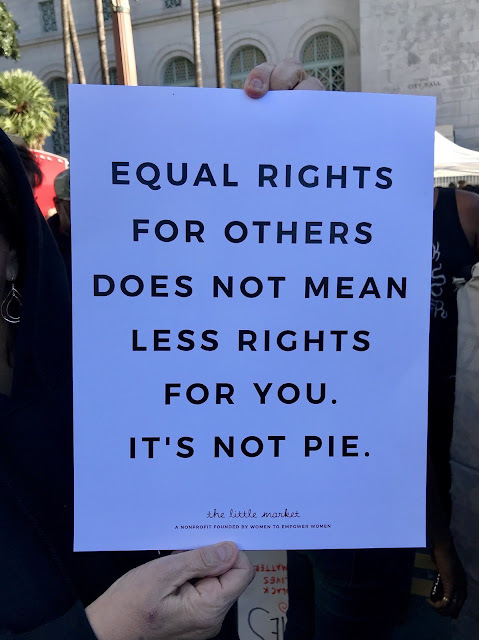 And while we may make increasing progress towards equality, for women's´ rights, the rights of minorities, of the LGBQT community and at least try to overcome sexism, racism, homophobia and xenophobia that change is slow and difficult. And it will take the longest and will be the hardest to truly overcome the structures, that benefit some in our societies, while marginalizing others. Now again you are not the reason these systems are in place, you might even dislike them, but you are still benefitting from them as am I as a straight, white, cisgendered, able-bodied person. I benefit from these structures daily and I have certain privileges due to these structure of our society. Now sure I had struggles, I had problems, I had to work really hard to get where I am today in my job and financially, BUT and this is the deciding factor: while I may not have gotten jobs, this was never based on the fact that my surname sounded foreign or the colour of my skin. While the people I have dated have broken my heart numerous times and I have been rejected, I never had to fear holding their hand in public, I never had to explain my sexual orientation to anyone and I never been assaulted, insulted or hurt, because of who I am attracted to. While I felt insecure in my body and often did not want to show it, I have never been denied access or was incapable of doing certain things simply because they were not made with my body in mind. This is what I mean when I say privilege, it means largely moving around in a world, that is specifically targeted at you and your needs. While you may have other problems, structurally you simply have it a lot easier than many people. And realising this and noticing that many other people do not and cannot feel this way is a first step at making a world, that is tailored for more diverse groups, for the needs of more members of society and for people with needs, that may differ from mine. Building a longer table often feels threatening to many people, which I have never really understood. 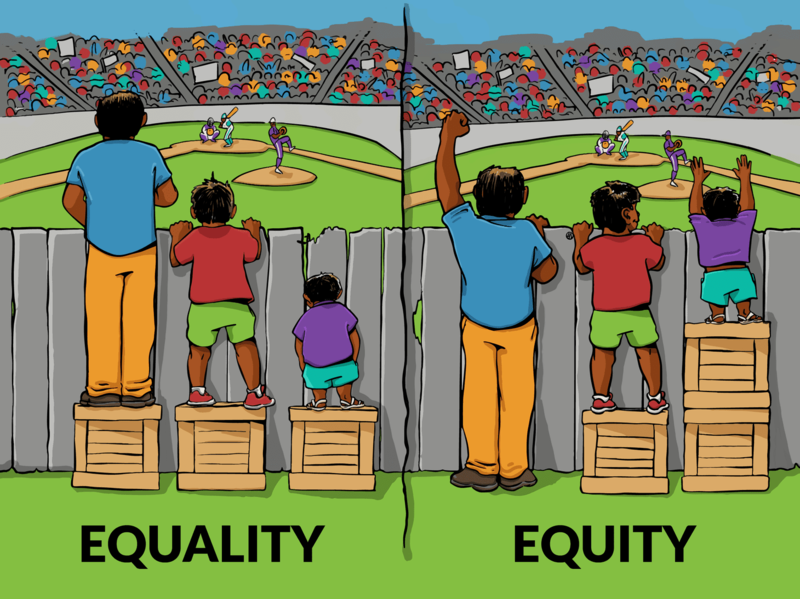 If we do not work against decades and centuries of oppression systematically and by benefitting those we have disadvantaged the most as societies, how will we ever reach true equity? If a certain group has always been given a head start in life how can others catch up without being able to skip a couple of rounds? We cannot begin to treat all people completely equally now, because a) the system is not equal yet and b) there needs to be a certain time of granting privileges to the ones who were oppressed for so long to guarantee that they catch up. 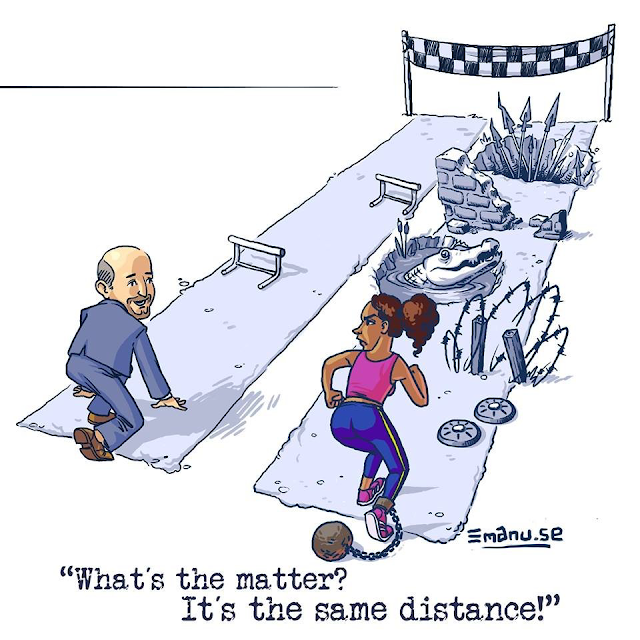 If we can go back to the metaphor of the race, we as the group leading, because we got an unfair advantage at the start need to sit down and let the others catch up. This is not giving them an advantage, it is giving them the equal chance to win the race. And if this feels threatening to you, if you do not feel like we need a women quoata, or Pride parades or Black Lives Matter and your argument is a little along the lines of: "But then I won´t get a job simply because I am not a woman" sit down for a few minutes and consider, that these facts have been a reality for large groups of society for centuries. So let them catch up, help them catch up, support them in catching up. This is what it means to recognise your privilege and to actually be an ally. To understand that you will not fully grasp the reality of their struggles, but to accept your advantages and to help in overcoming them. So we can all finally have a fair race and feel good about winning.